I find the red Chinese Lanterns in at least 2 forms. Abutilon hybridum 'Nabob' has widely opened flowers and gets larger than other red Abutilon's that I have seen, forming an open shrub up to 8'. Abutilon Nabob has hairless green leaves and holds its flowers up so they can be seen. Abutilon's are great for the shade garden. They will do poorly in full sun unless they are right on the coast. Hummingbirds feed from the Nabob Chinese Lantern flowers by reaching in between the sepals and petals to seek out the nectaries. 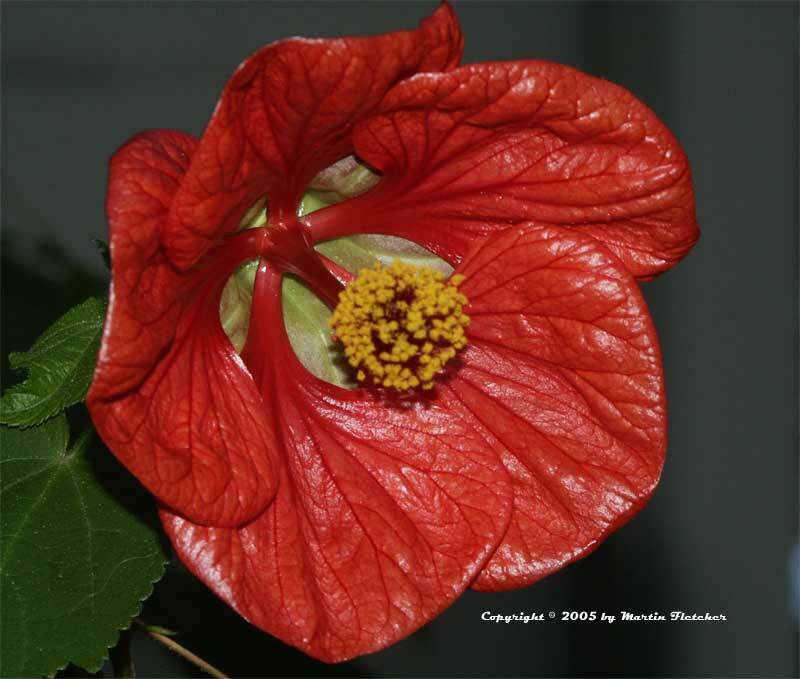 High resolution photos of Abutilon Nabob flowers, the red Nabob Chinese Lantern, are part of our garden image collection.